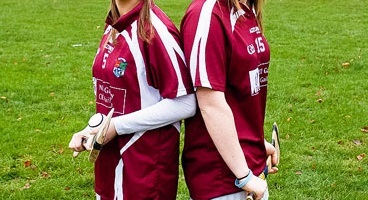 NUIGalway camogie club will once again host the Ashbourne cup weekend on Saturday 13th and Sunday 14th February. The Galway university last hosted the Ashbourne weekend in 2011 when Waterford IT were the champions in final played in Pearse Stadium. Also on the calendar of events are the Purcell and Fr.Meachair cup competitions. Since 2010 NUIGalway has hosted Fitzgibbon cup, Sigerson cup and Ashbourne cup weekends as well as Camogie and fresher ladies football All Ireland 7s competitions. NUIGalway Camogie club has with the cooperation of Connacht GAA and Gort GAA club the responsibility to host the 2016 renewal of one of the top competitions of the camogie season. History will be made in third level gaelic games when for the first time an intervarsity weekend for either hurling, football, camogie and ladies football County Mayo will host one of the big four weekends. The Connacht GAA centre host 5 grass pitches and one astro pitch on an ultra modern sporting facility with flood lit capabilities on three of the pitches with full catering, parking and ancillary facilities on site. Close on 400 of the best camogie players will descend on the impressive Connacht GAA centre in Bekan on the Knock/Ballyhaunis road on Saturday afternoon for the six semi finals in the three competitions. Many of those in action are already involved in inter-county camogie with others likely to make the breakthrough this year for the first time, based on their efforts with their colleges. The Purcell cup semi finals will take place at 3pm at the Connacht GAA centre. The Ashbourne cup semi finals will take place at 4.45pm under lights at the Connacht GAA centre in Bekan. The Meachair Cup semi finals will as well take place with one game at 3pm and the second game on at 4.45. Extra time will be played in all games over the weekend. NUIGalway GAA officer Michael O Connor is delighted that “such wonderful facilities are available in the Connacht GAA centre and Gort to host the high quality games in a time when pitch availability is at a premium all over the country due to inclement weather”. O Connor thanks the cooperation of the Connacht GAA centre staff led by John Prenty and Adrian Hassett as well as Gort GAA club officers John Quinn and Theresa Helebert as well as the student body in NUIGalway camogie club for their assistance in putting the event together. He reserves special mention for CCAO chairperson Stephen Hoary and his committee for the “new style competitions initiated last September that has led to a reivgorated third level camogie competitions”. Opened last May, Gort GAA grounds will host the much awaited Ashbourne, Purcell and Meachair cup finals on Sunday 14th February. A sizable camogie support is expected in the Connacht GAA centre and Gort for what will be a tightly fought series of semi finals and finals irrespective of who is involved in the Ashbourne, Purcell and Meachair cup events. 3pm: Purcell cup semi finals at the Connacht GAA centre.